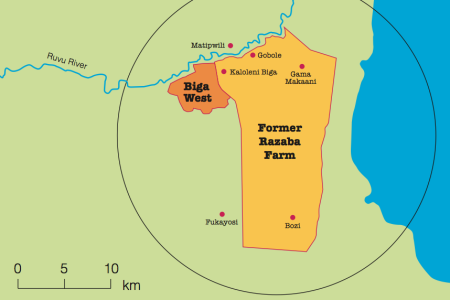 A new report contends that people are being pushed off their land to make way for a sugarcane plantation in Bagamoyo in a land grab — a claim the government denies. The government is categorically denying land grab claims in relation to a sugarcane plantation in Bagamoyo. In a new report, NGO ActionAid contends that Swedish company EcoEnergy, which has secured a lease of over 20,000 hectares of land for the next 99 years, failed to effectively communicate it’s intentions with the affected community of approximately 1,300 people. “By failing to obtain the free, prior and informed consent of the communities in the area affected by the project, EcoEnergy is grabbing the land of these communities, or risks doing so,” says the report, which calls for suspension of the project. Peniel Lyimo, deputy CEO of the Presidential Delivery Bureau (which is overseeing the implementation the project for the government) says the land has been in government hands for years, and all owners had been compensated as far back as 1976 when Zanzibar purchased the property as a ranch. Claims that anyone was pushed out to make way for EcoEnergy are false, says Lyimo. However Bagamoyo District council chairman Shukuru Mbatto says there are people who have moved onto the farm illegally, who would compensated nonetheless. “There are a number of correspondences between the government and representatives of the people who wanted to temporarily move into the farm because their areas of residence were flooded,” says Mbatto. Not all villagers feel taken advantage of: Kiwangwa villager Salum Mfikirwa says he is already part of an outgrower scheme in which he and other villagers will provide sugarcane to the factory. 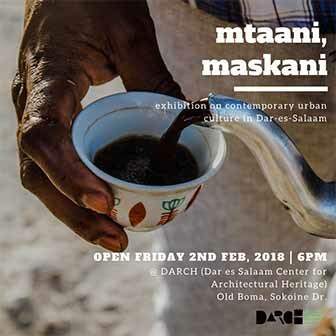 “For us, our biggest challenge regarding land are the ongoing land sales in areas earmarked for the outgrower scheme by some unscrupulous village leaders to rich people coming from Dar es Salaam and elsewhere in the country and not EcoEnergy as claimed by ActionAid,” Mfikirwa told the Citizen. The ActionAid report also questions the value of the outgrower scheme, which it says is risky and involves pricey loans farmers can’t afford. “ActionAid is not opposed to foreign investment in agriculture, but … both EcoEnergy and farmers confirmed that many farmers in the area are unaware of the details of this model, which presents potential risks to local smallholder farmers and involves a major shift in livelihoods and food security in the area,” says the report. Permanent secretary Kidata further criticized ActionAid for not clearing it’s research with authorities before publication, saying that predisposed the report to errors and mistakes and had ActionAid gone to the government, they would have been better informed.